Solid bodysuit with color block, mock neck design. Shoulder button placket for easy wear. Two-tone, Burberry® knight graphic print at left chest. 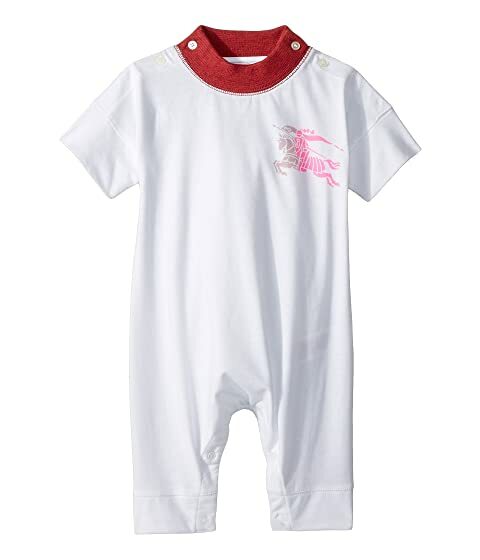 We can't currently find any similar items for the Randal ACABW Overalls (Infant) by Burberry Kids. Sorry!